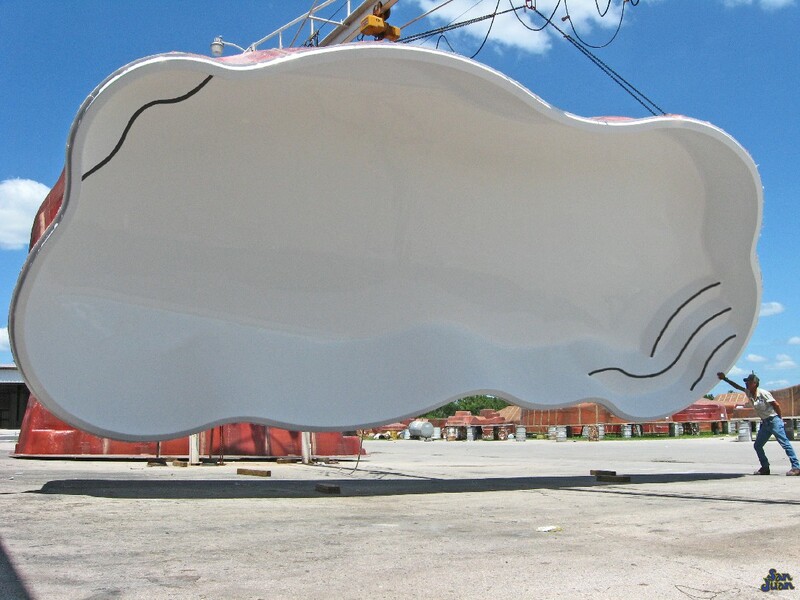 The Stardust is a beautiful free form fiberglass swimming pool. 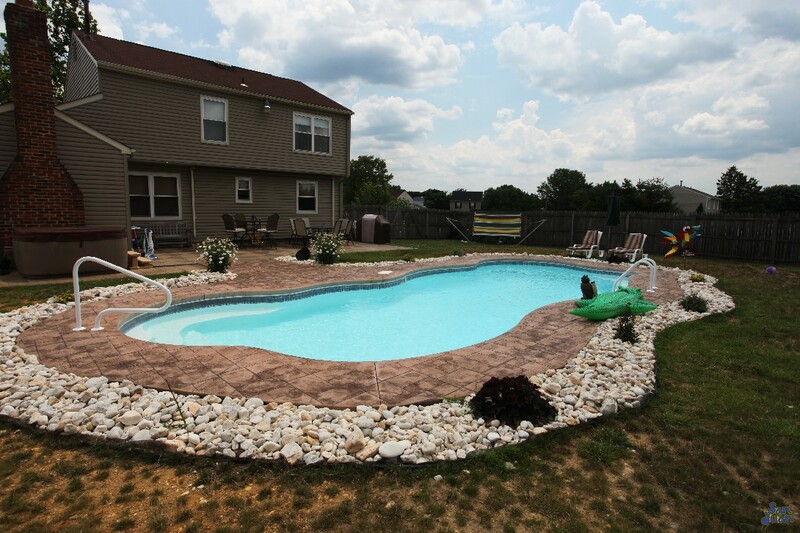 It is classified as a medium sized pool with a modest deep end of 6′ 4″. 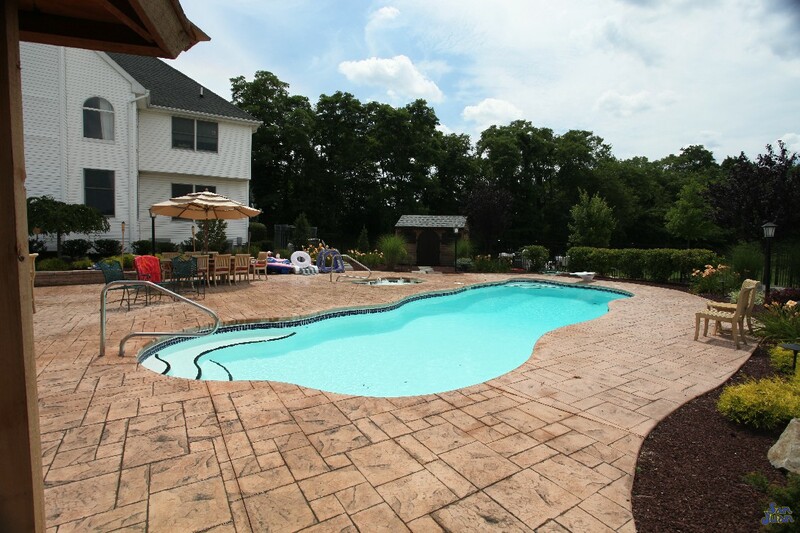 It provides your swimmers with lots of space to stretch out while enjoying its multiple curves & fun features. The Stardust is part of our Free Form swimming pool family. It’s repetitive curves generate a unique design that is both interesting and and fun. No only does the Stardust give you plenty of space for swimming, it also provides some comfortable bench seating. Located in both the shallow end and & deep end, you have plenty of room to stretch out and get comfortable. As you can see, the design options with the Stardust are nearly endless, as is the case with all of our Fiberglass Pool & Spa Models. 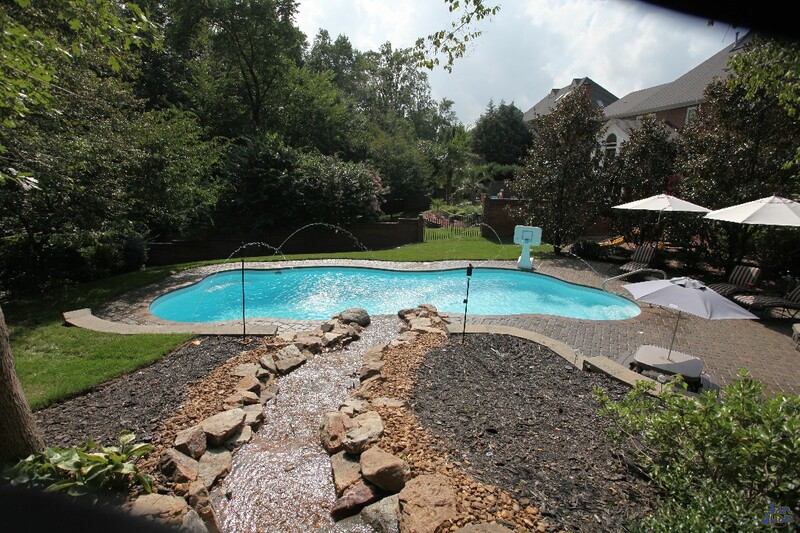 We place you, the consumer in the driver seat and you’re free to operate with your pool builder to make your dream outdoor oasis into a reality! We designed the Stardust to be very similar to The Taj Mahal, but a bit smaller. Providing an overall size of 13,700 Gallons, the Stardust is designed for small to medium sized backyards. 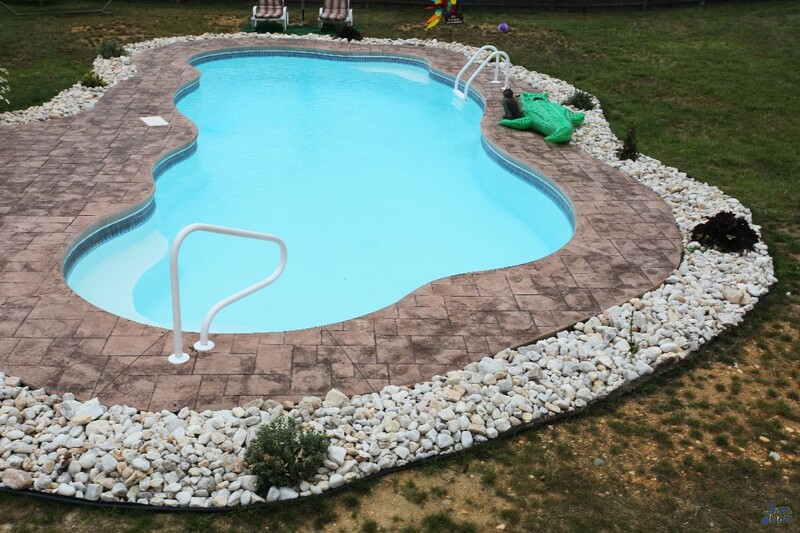 Its also includes a 6′ 4″ Deep End that is great for intermediate swimmers. Similar to The Desert Springs, the Stardust provides our swimmers with plenty of bench seating. We find that a lot of our customers enjoy bench seating because of the comfortable rest areas they provide. Secondly, bench seating is a great area for swimmers to relax, connect and slow down to enjoy the great outdoors. We want to point out the Deep End Swim Out Seat that we’ve placed in the 6′ 4″ deep end of the Stardust. A Swim Out Seat is a popular design option for free form bodies of water that host a deep end. We’ve included it in this design for the simple reason of giving our swimmers another comfortable rest point inside the pool. It’s a great location to catch your breath and relax between swimming sessions. A great feature that we can’t speak enough about! To summarize, the Stardust is a fun packed fiberglass swimming pool. It’s free form body, shallow & deep end bench seating & medium size make it great for a large portion of our client base. 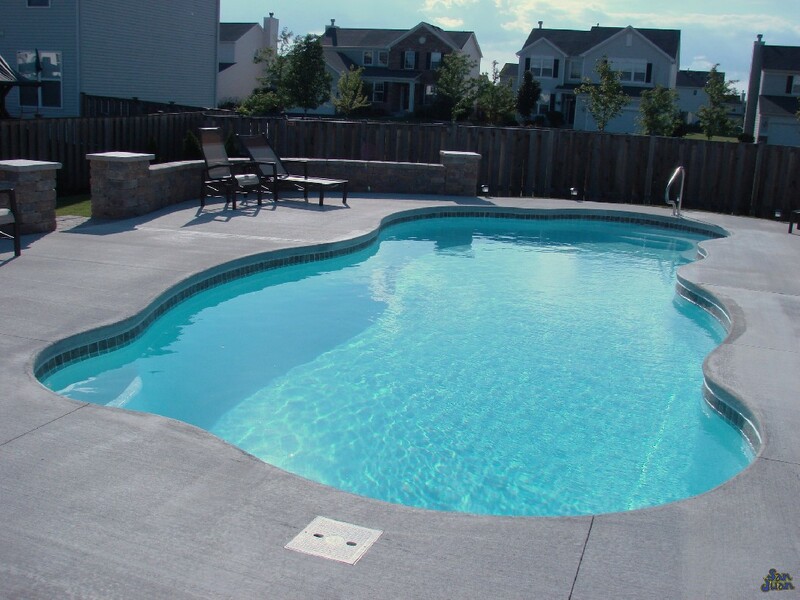 Able to be installed in small to medium sized backyards, this swimming pool is very popular for it’s size & design. We recommend the Stardust to the home with intermediate swimmers that want a swimming pool for recreational as well as entertainment purposes!